Sydney’s famed inner-city monorail is about to be ripped down, but won’t close to passengers until June 30, so there’s still time for one last ride. And NSW Transport Minister Gladys Berejiklian is encouraging visitors to enjoy that final ride on the Sydney monorail before it closes forever. Regarded by many as an impractical and expensive ‘eyesore’, the Sydney Monorail opened in 1988, and will run its last loop on the 3.6 kilometre track on Sunday 30 June. "Many people in Sydney and across the state have already experienced the Monorail at least once, but now it is time for everyone to get on board one final time before the end of June," says Berejiklian. According to the Transport ministry, the Monorail needs to come down to make way for the new redevelopment of the Darling Harbour precinct and for the extension of light rail. "The monorail is more than 20 years old and has never been integrated with Sydney’s wider public transport network," Berejiklian says. "It has never been truly embraced by the community, and we can’t justify the costly upgrades required to keep it running." 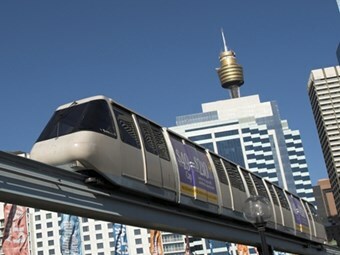 In May the NSW Government awarded the contract to remove the Sydney Monorail to Sydney-based Metropolitan Demolitions Group. After the monorail is decommissioned, work will begin to dismantle the track, 100 support pedestals, stations, structural columns and other equipment. Berejiklian says 90 per cent of the more than 1500 tonnes of steel from the monorail structures, and over 400 cubic metres of concrete, will be recycled.